The Freedom Fest committee, which raises money for the local All Veteran’s Memorial, in conjunction with Emporia Main Street is proud to offer you the opportunity to honor a veteran or someone currently active in the military while at the same time celebrating Emporia as the founding city of Veteran’s Day. 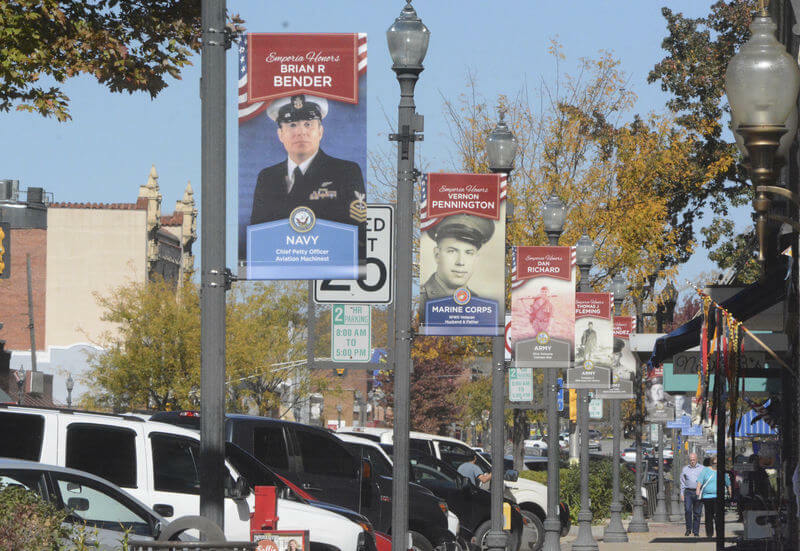 Each year over 250 Veterans banners hang downtown and at Empoira State University for approximately one month in conjunction with Veteran’s Day activities for four consecutive years. After the banner’s four year term is completed, the banner is retired. 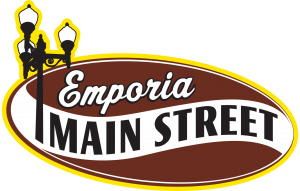 Emporia Main Street will then contact sponsors to give them the retired banner and give sponsors the opportunity to reauthorize a new banner. The 2019 Veteran’s Banner Applications are now available! These applications are due back to Emporia Main Street by June 28, 2019 and the drawing will take place on Monday, July 1, 2019 at 10am. If your application is selected you will have two weeks to provide a picture and the payment to Emporia Main Street! Sponsors may submit multiple applications, but only one application per veteran. 2019 Banner Applications. 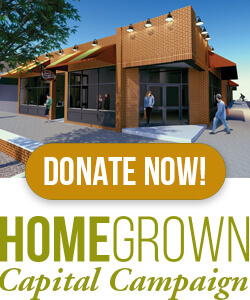 Print out the application and return to Emporia Main Street or fill out the online app below. I would like my banner to be hung at ESU for all 4 years. All banners will rotate on and off campus unless specified to be on campus all 4 years.